Sell Your Mercedes Cars For Cash in Brisbane in exchange for money and make the most of our cash for cars offers. You now have an option of getting rid of an unwanted vehicle in a hassle-free manner and make some money. No matter the make or the brand of the car, over a period it turns into a clunker. And instead of hoarding a clunker, it is better to sell old cars for cash. A decision to Sell My Mercedes Car Brisbane can be a difficult one. Getting rid of an unwanted vehicle is sometimes emotional and most often a stressful experience. With Sell My Car In Brisbane, you can now relax and handover the responsibility of dealing with unwanted cars in our hands. We buy cars for cash and also offer top cash for junk cars. 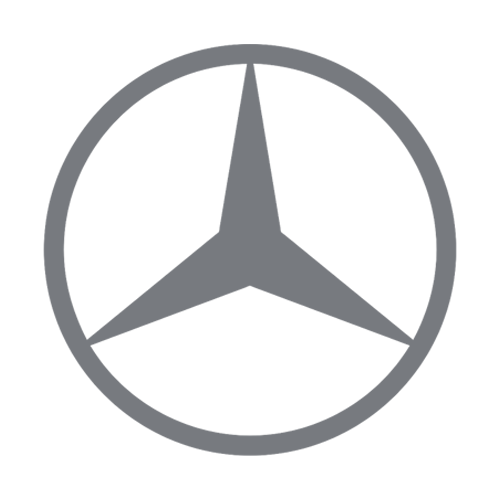 We are a well-known Mercedes Car Buyer Brisbane. We buy all models of Mercedes such as Hatches – A & B class, Sedan – C,E, and S class, Estates, All terrain E-class, Coupes – C,E,S, GLC,GLE coupes , SLC Roadster, S-class Cabriolet, SUVs – GLA,GLC, GLE, MPV’s and any other models under Mercedes brand in the Australian market. Apart from the Mercedes cars, we also buy all European, American and Japanese car models. We are also open to all types of vehicles including Vans, SUVs, UTEs and many more. So, when you are ready to junk cars for cash, contact us. Owing a car is a dream for many people, and with so many financing options available, it is now easier than ever. However, regular maintenance is an inescapable part of having a vehicle. And replacing an auto part is a regular feature of maintenance especially as the car ages. We, Mercedes Car Wreckers Brisbane provide all kinds of spare parts for all types of vehicles. We buy vehicles of all shape, size, and condition. So, whether you are stuck with an old car, a dead car or a damaged car, contact the most experienced Car Wreckers Brisbane to know the best possible price you can get under our cash for used cars, cash for damaged cars, cash for unwanted cars, and cash for accidental cars offers. For free Mercedes Car Removals Brisbane call us today. Yes, you got that right! We offer free Car Removals Brisbane to all our clients. What makes us popular is our commitment, reliability, and transparency in our dealings. We accept all vehicles regardless of its condition as we promote recycling for unusable vehicles. The recycling not only promotes a healthy environment and but also reduces stress on the natural resources. We, therefore, buy and pay good cash for junk cars, and you can easily scrap cars for cash with us. So, decide to go green today and call us immediately. Make your car work for you and get Cash For Mercedes Cars Brisbane. Cash For Cars Brisbane is a beneficial deal for all the parties involved. From seller’s point of view, it offers a profitable opportunity to get rid of the unwanted cars and make some fast cash for cars in return. Also, with professionals handling the transaction you as a client don’t have to worry about finding a buyer or making any other arrangements. We offer free car removal service, free quotation, and free legal paperwork for smooth and tension-free execution of selling your vehicle. And as a buyer, when we buy a vehicle we get access to the quality car for reselling, spare auto parts for reselling and a recyclable metal for manufacturing new products. Also, we always pay the best market rate making us a popular place where people decide to sell cars for cash happily. Additionally, with us you can expect to earn up to $9999 for your car. There are different ways in which you can contact us. You can call us on 07 3082 6488 and speak to our team instantly. Our efficient staff will be able to help you with any information, concern or solution that you might be looking for. In fact, if you provide basic car information you can get an instant quote. On the other hand, you can write to us at info@wreckery.com.au . For more detailed information and ongoing offers, you can also visit our website at Wreckery.com.au/contact-us/. On our website, besides the information, you will also get access to the form for receiving cash for cars online quote. Also, for ease of access we work from Monday through Friday and operate from 10.00 am to 6.00 pm. So, you can decide the mode, the time and the date to contact us as per your convenience. And no matter how you contact us, you will always get a prompt and a professional service.